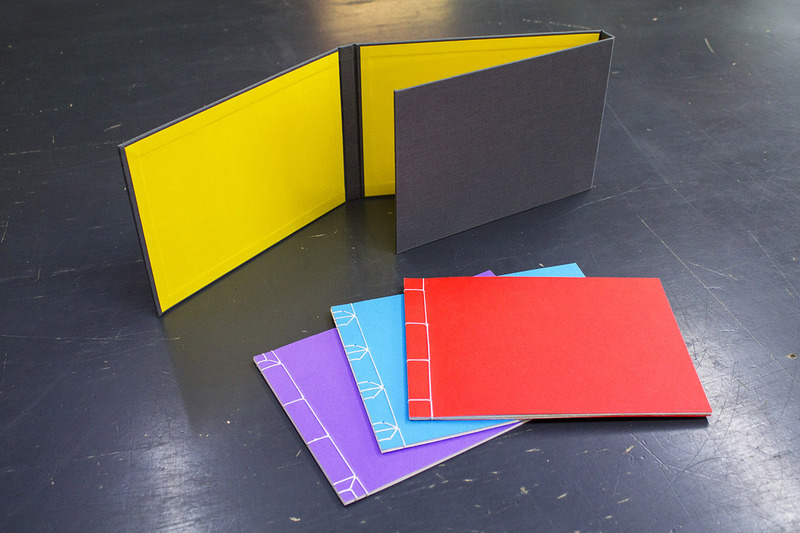 Japanese Stab Bindings with Wraparound Case – WE MAKE BOOKS! In this workshop participants will have the opportunity to make three handmade books with soft covers, using three different Japanese sewing techniques: Yotsume Toji, Koki Toji and Kikko Toji. Participants will also be making a traditional wraparound case to store their books. Japanese stab binding is a great method of binding together single pages with your artwork or writing or making beautiful sketchbooks and notebooks. All materials will be provided and no previous experience is required. The workshop is delivered by Lina Avramidou and Manuel Mazzotti.